Optimizing maintenance strategies for industrial equipment and other assets is the core of Asset Performance. It’s the balancing act between over-maintaining or under-maintaining assets to find an organization’s tolerance for cost versus availability. 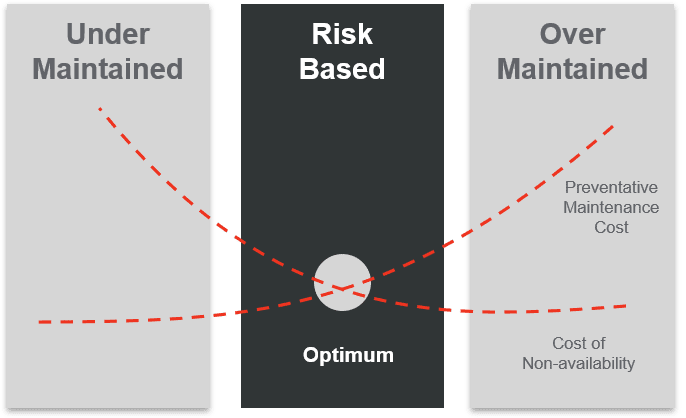 Somewhere in the middle is the optimum point where an asset has been assessed by its risk to the organization’s industrial process, and the overall consequences for downtime. Introducing the appropriate maintenance strategy is only part of Asset Performance. Being able to leverage the tools and best practice procedures needed to consistently implement that strategy over time, while adjusting to changes, is also part of the challenge. 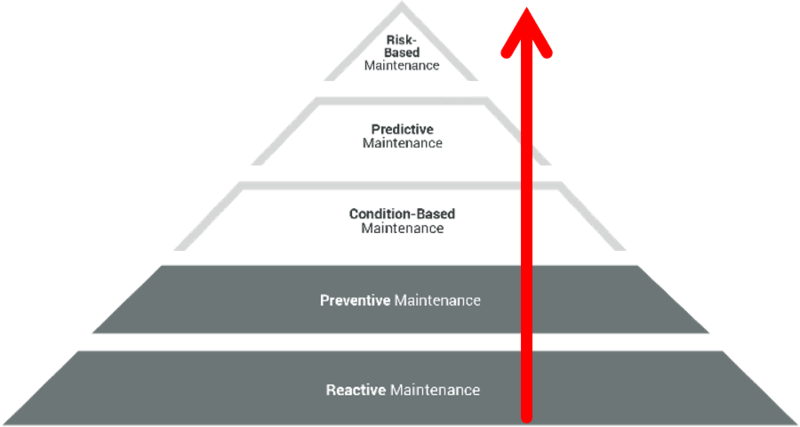 Most are familiar with Reactive Maintenance, where maintenance is performed ad-hoc as the need arises. Asset Performance enables organizations to move beyond reactive, using software tools that utilize real-time data to achieve the optimal balance of Risk-Based maintenance. Like most endeavors, Asset Performance is a journey that requires planning and thoughtful consideration to navigate the path forward. It may not always be feasible to jump straight into Risk-Based maintenance depending on where the organization is in its journey. Often, it is more appropriate to implement iteratively, building upon experience and business imperatives at each step along the way. Our Asset Performance software solutions provide the tools and establish processes, that execute a consistent, adaptable maintenance strategy. We enable an organization to shift from Reactive Maintenance towards Risk-Based, empowering action before costly failures occur and maximizing value throughout the asset’s entire lifecycle. Asset Performance is one of the three solution categories that make up our comprehensive Edge to Enterprise industrial software platform. Comprehensive solution for providing maintenance management, spares and inventory management, and complete procurement capabilities for driving maintenance standards across the organization. Combines configurable software and ruggedized mobile hardware to enable workflow, data collection, and general task management for plant operations, maintenance management, production tracking, and compliance applications. Predict asset failures days, weeks, or months before they occur using advanced pattern recognition and machine learning technology to analyze asset trends, reducing operations and maintenance costs. Provides real-time asset diagnostics evaluation based on pre-defined simple and complex equipment conditions to trigger appropriate operations, engineering, or maintenance activities, improving overall asset performance.